As you might know, tomorrow is the first day of International Contemporary Furniture Fair. This is one of USA’s best design events that will have more than 500 exhibitors from more than 30 countries in 11 categories, ranging from furniture to lighting, kitchen, materials, bath and fabricators. The fair will take place from 17 to 20 May. It’s just a few days, but days that can define trends for the whole year. 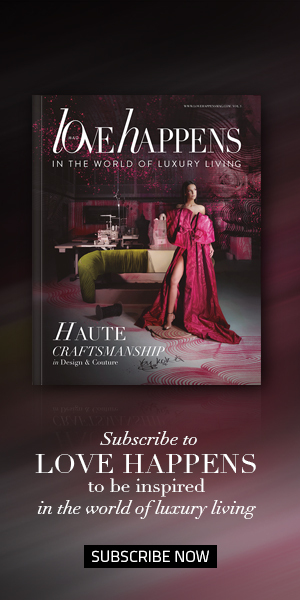 You can see here how it all went for KOKET at ICFF last year. We are finishing the last details for you to visit us (Booth 1154/1162) and have a pleasure moment as we present you our latest Novelties. Drawing from the colors of the wild, KOKET unleashes her Primal Desire at ICFF featuring these star pieces! 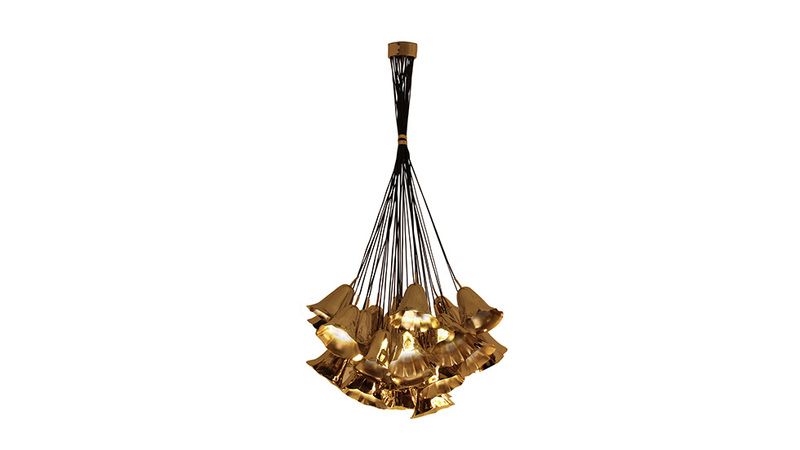 Our feminine Gia chandelier has been a star piece at almost every show! 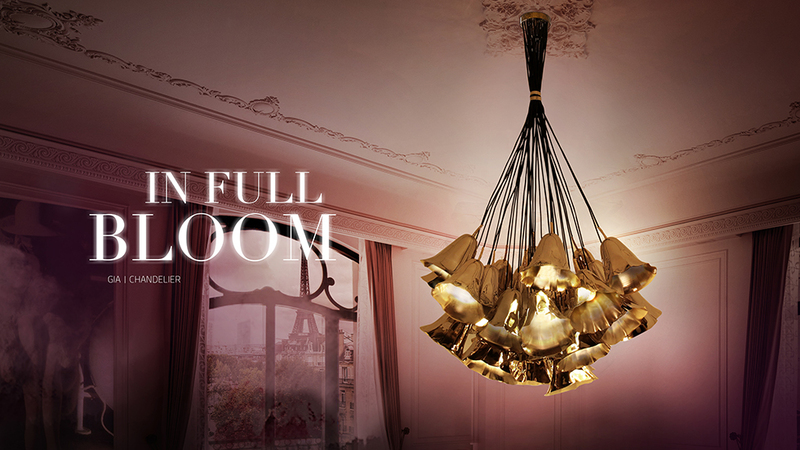 The delicate bouquet of calla lilies that gracefully hangs from the ceiling, cinched in the middle with a metal band, is a fan favorite. She also helped her designer, Andrew Teoman, win the Bright Young Talent award at the 2014 Light + Building Show. Yeah, she is pretty awesome. The highly coveted Chandra chair is getting a makeover for ICFF. Instead of her usual seductive black satin, she will be proudly channeling her primal desire with a pattern of rich brown, copper, beige and olive green. With her sleek gold accents and cat eye openings, she is sure to reign queen of the safari. 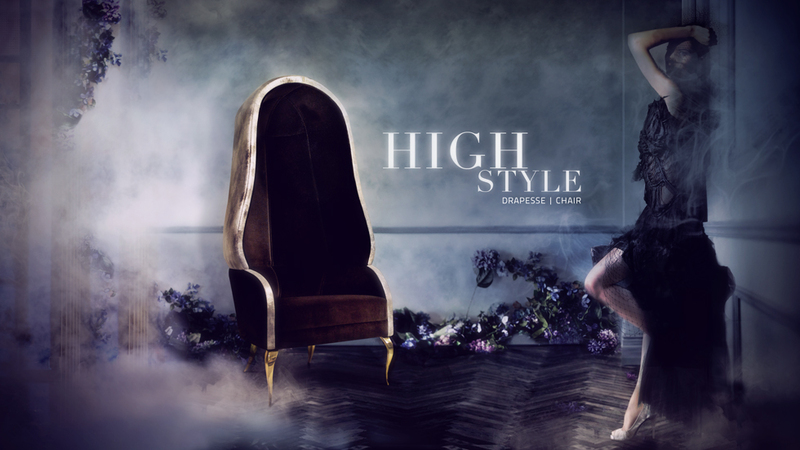 The Drapesse chair is one of our most photographed pieces, simply because it is fun to sit in and provides a beautiful picture opportunity. We took that idea and created a place where people and the Drapesse can be photographed in harmony, our KOKET selfie booth! At ICFF, we will feature our first ever photo booth with two Drapesse chairs to snap a selfie. Don’t forget to use #Koketselfie! Get swept away with temptation when you see this popular reptilian console. 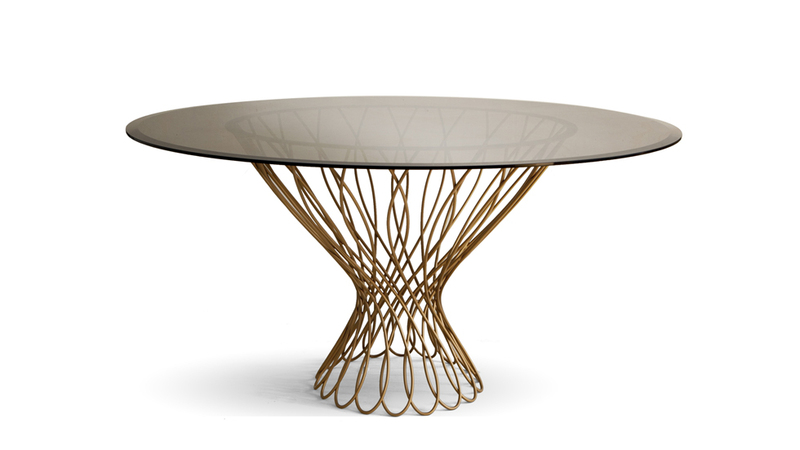 The gold leaf legs, playfully familiar to a woman’s hips, play a side note to the four-drawer python lamb skin top. For the KOKET glamour, we added bronze crystal drawer pulls to accent the snake skin. 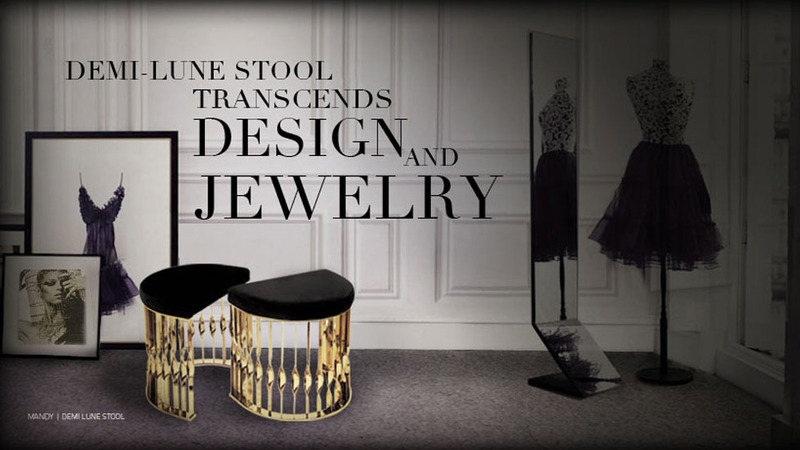 KOKET is going back to the beginning by bringing a staple piece to ICFF, the simple black and gold Mandy stool. Inspired by a cuff bracelet, the Mandy is unique in design yet basic in luxury. 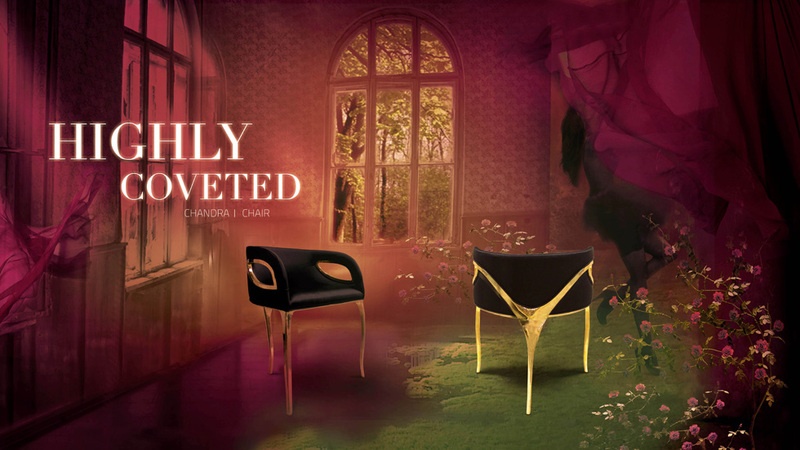 Upholstered with a soft, black velvet the base is a classic brass, twisted to give it KOKET edge and seduction. You will not want to miss the surprises we have for those who will give us the pleasure of a visit at our booths (1154/1162).